Art Junction brings you “Haunted Throne – Costume Extravaganza” where looking weird, spooky, wild and creepy is not a problem. It’s time to haunt people or get haunted by them. Haunted Throne will scare the soul out of you as we have lot of segments and entertainment plans for you plus the decor. The participants of this segment will have to register for ramp walk and only registered candidates will be allowed to showcase their costume getup on ramp. Registered Participants have to attend session for 3 days before the events where they will be guided about the ramp walk, their costumes, and timings of entrance/exit. Registered Participants must showcase their costumes to the management a week prior to event. Those who are brave enough they will have to start their haunted journey from one door of Haunted room and exit from another. It’s not all about Creepy Walk and Haunted Room. We also have special prizes for the audience with special costumes. Note: Your entry pass will not be accepted without a costume or proper horror getup. Everybody have to follow the theme. 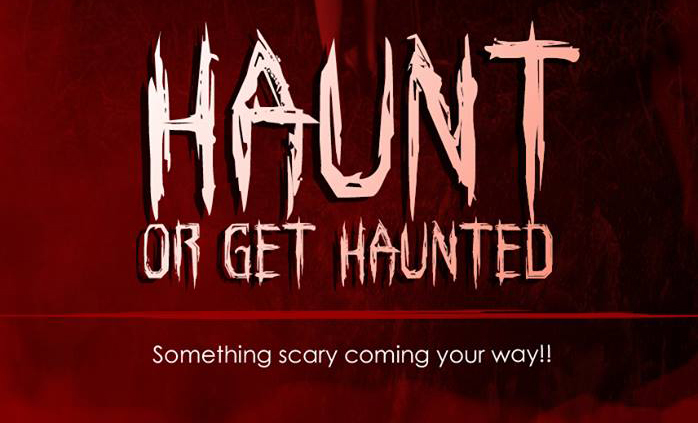 Our Photography team has arranged a the scariest photo booth according the theme of our event. Our photographers will be there to snap your creepy looks. Some surprise musical and dance performances will spice up the event. You take care of your costumes, we take care of your face. Yes our artists will be their to give your pretty face the ugliest look. the facilities of food and beverages will be present on event with discount prizes . Maximum 3 students will be allowed at a time.